Players can take a detour from killing monsters and backstabbing their friends with Munchkin Side Quests! 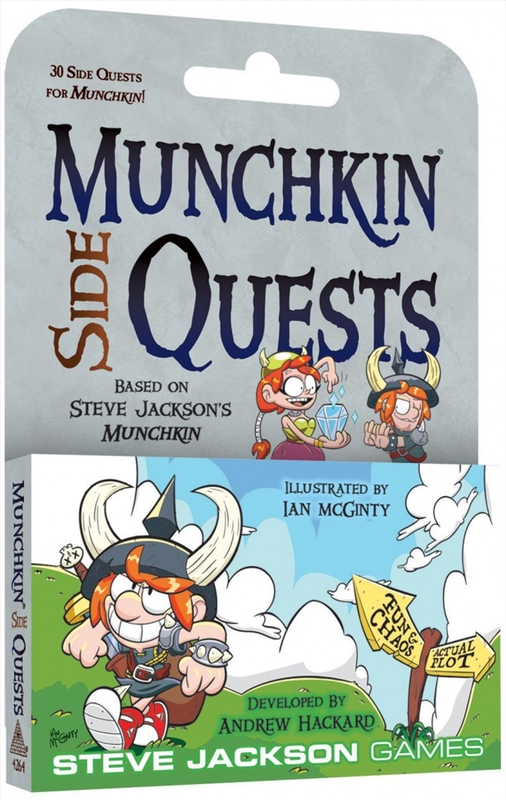 With this mini-expansion for Munchkin, adventurers can complete secret in-game goals and cash them in for glorious rewards. Following the plot is for losers - win the game in another way!